Be our guest as we host the most wonderful meals of the year. 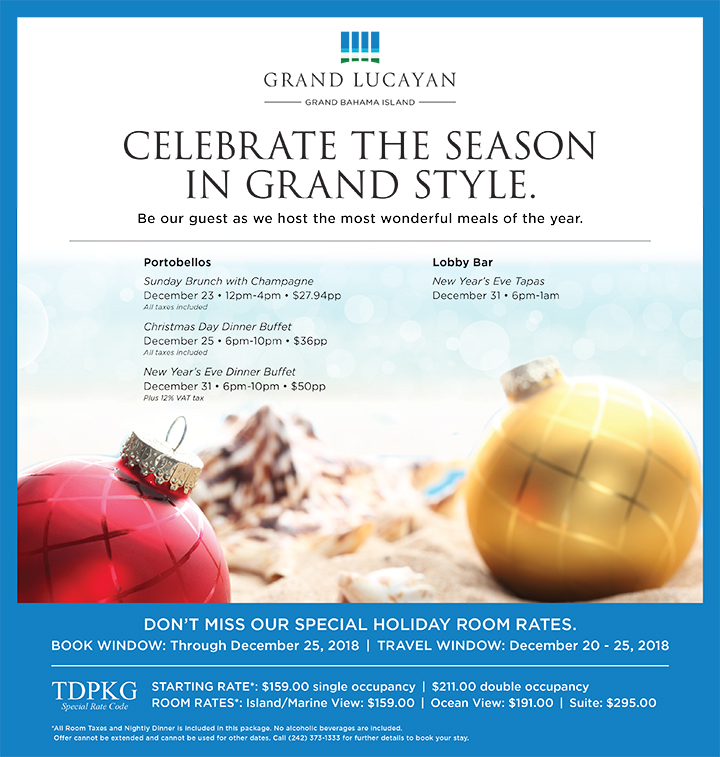 DON’T MISS OUR SPECIAL HOLIDAY ROOM RATES. * All Room Taxes and Nightly Dinner is included in this package. No alcoholic beverages are included. Offer cannot be extended and cannot be used for other dates. Call (242) 373-1333 for further details to book your stay.